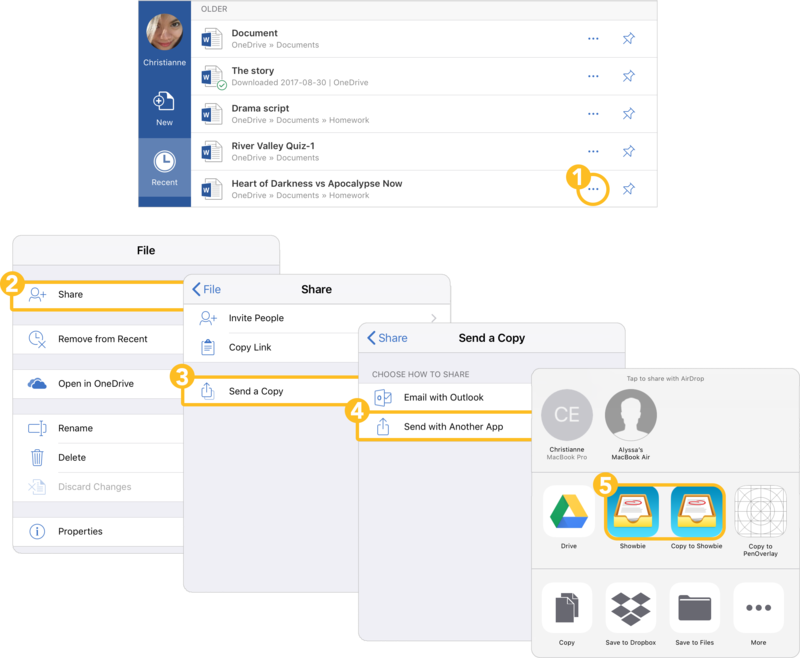 When you're selecting which app to share, choose either Showbie or Copy to Showbie - the latter is better for larger files! You can now annotate Microsoft Word documents directly in Showbie! Upload your .doc or .docx file to Showbie and start annotating. You can also download a PDF version of the Word doc with the annotations, but the original Word file will always be available to download.